Eco-conscious skincare clients are looking for holistic skincare products that align with their green lifestyles. 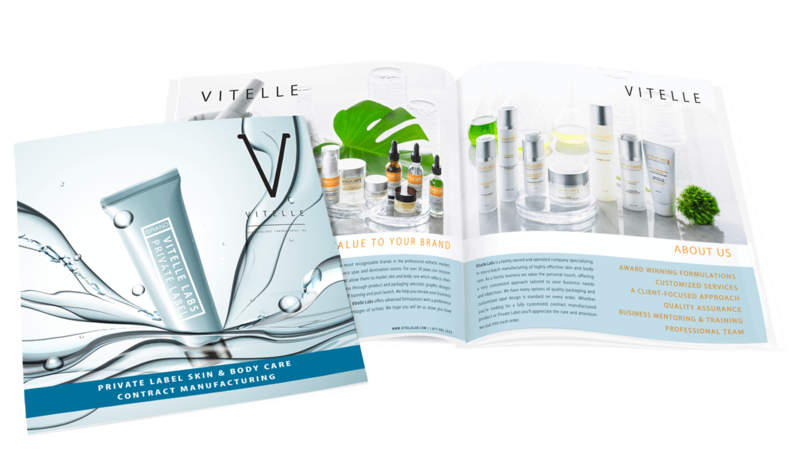 Vitelle has been at the forefront of natural skincare research and development, revolutionizing the professional private label marketplace with the introduction of our Naturals Collection of eco-sensitive and vegan skin and body care range. By offering your own natural skin and body care line you open the door to this highly lucrative market which has seen significant growth over the last ten years. This exquisite collection uses the latest natural skincare technology and offers a preference for naturally-derived earth-friendly emulsifiers, surfactants, natural source-fragrances and mineral-derived colors. Naturals is a vibrant collection with exotic scents and textures which will appeal to the discerning buyer, it is paraben and cruelty-free and made employing eco-friendly clean manufacturing practices. From cleansers to eye treatments, Naturals is a complete skin care regime suitable for most skin types and conditions. This range offers a complete professional only line which ties in beautifully to treatment room applications. Clients carrying this collection have successfully applied for a number of industry certifications, which include Vegan Certification, PETA, Leaping Bunny and Natural Skincare Authentication.